What kind of driving do you do? How many miles to you put on your vehicle in a year? These are some of the questions we’ll ask when we help you find tires for your vehicle. Michelin®, BFGoodrich®, Uniroyal®, Continental®, and General Tire® are just a few of the brands we have to offer. We stock tires for passenger cars, light trucks, SUVs, vans, trailers, lawnmowers, ATV’s and more. 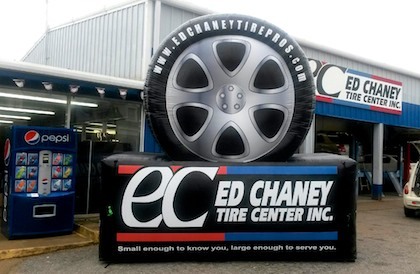 Not sure what size tire your vehicle needs? 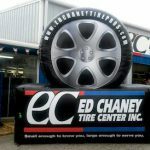 Let us help—call (601) 693-TIRE(8473) or use our easy online Tire Fitment Guide. In need of vehicle repair or maintenance? We offer oil changes, tire inspection and repair, shock and strut service, brake service and inspection, and alignments. For the complete list of repairs we offer, view our Services page. We have been serving customers from Meridian and surrounding areas for years. Stop in and you’ll soon see why we are the area’s leading and most trusted auto service provider.